Behold, two of my favorite London scores: glitzy gold earrings and the sweetest dot shirt. Walking into Banana Republic to me was like walking into Mr. Magoriums Wonder Imporium, Or Hamley’s if you like. I ooooh’d and aaaah’d while gracefully sliding through every part of the store. Their selection of black and white outfits made my heart skip a beat… and my wallet open. I kind of fear the tenth of next month. It’s known as credit card billing day. Though, I tell myself this splurge is completely justified, as in my believing it’s a reward for the hard work I did in January. Who cares I didn’t yet know I’d passed my exams when I swept the card? PS: I also got this skirt, because it was pretty and I was in a jolly mood. I have a shopping problem. Yesterday was Valentines Day and as expected I didn’t make it to Antwerp to see the boyfriend. All well, I’ll just wear his favorite dress and give him an extra kiss or twenty tomorrow. He hates that, haha. We had planned to make an in-country trip this weekend, but I’m thinking we’d better stay at home and be couch potatoes. My hope of ending the week with more energy was in vain. My energy levels are lower than those of neutron. Also, three posts in one week! Yes, I’m trying my best again to post more frequently as I really have gotten a bit ambitious with this blog o’mine. Instead of Mondays and Thursdays, I’ll be trying to get a sign of life up here on Mondays, Wednesdays and Fridays. I can’t make it a promise, as work can get quite intense sometimes, but you know, I’m trying. PS: I received a few request to make a shop log from my trip to London. Is that something more of you would be interested in? I normally share new things only through outfits, but maybe it would be nice to combine it with a London Diaries post. What do you guys think? you are sooo cute. i love this outfit. 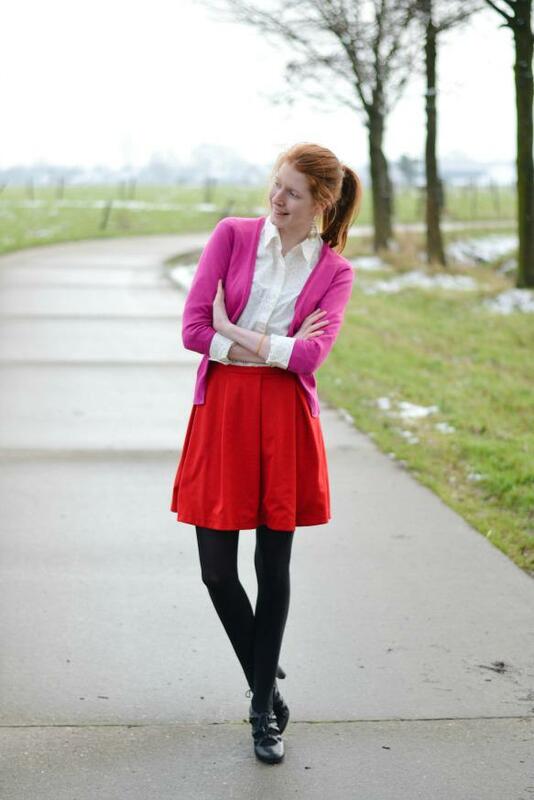 Leuke foto's en mooie outfit! you look amazing!!! love the red and pink and polka dots. hope you had a sweet valentine's day! A shopping log from London might be fun. I'm always up for seeing different kinds of posts. This skirt is wonderful! I wish I had one like it. I would probably wear it with everything. 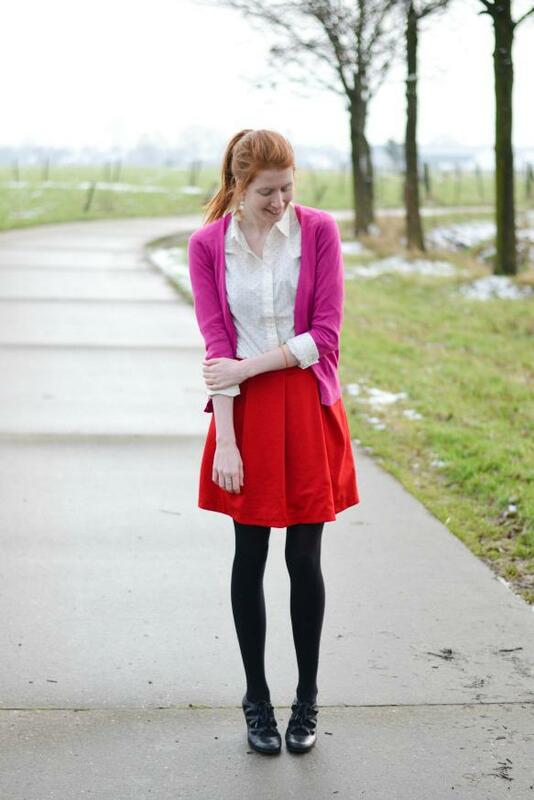 I love it paired with your dotted top and the pink and red color scheme is so festive. Super mooie outfit, in love with your shirt and skirt! 🙂 & jaaaa, ik ben ook voorstander van een shoplog! Super outfit! en hele mooie kleren! Love it! You look beautiful! I love the glitzy earrings and pretty polka dots. And the cut of that skirt is perfect! I hope you have a wonderful time with Kenneth! I'm sure he wouldn't mind an extra kiss or two. You look absolutely adorable today, I love your colour choice! 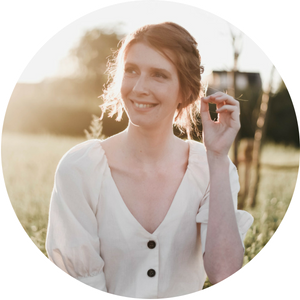 such a magnificent combo together and Nikki, the way you styled it all up is a beautiful compliment to your own ginger locks! i love it 100%, plus the polka dot shirt adds just the right amount of structure while the black grounds everything so perfectly. i passed by BR today and gave it one of those longing looks…the boyf was on a morning mission to get his Starbucks on so we had to detour from awesome shop-land 😉 i sure hope you got in that couch-love time with your handsome one…sounds pretty ideal to me! Love this outfit! And I vote Yes for the shop log! I love the red and pink together…you look so pretty! Jouw outfits passen echt bij jouw haarkleur! Super girly, cheerful and fun!